This course provides an in-depth overview to venture capital. Using structured case studies participants will gain a thorough understanding of the key issues within the industry from VC modelling to early stage deals and deal structuring. Delegates will be taken through each phase of a typical venture deal over the course of two days. 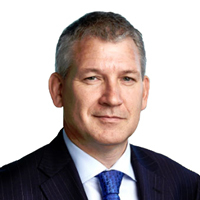 Graham Mold is currently Head of Growth Capital at Finance Birmingham where he manages an active £56m Mezzanine Fund. Finance Birmingham is a growing VC with c£600m under management. Prior to this Graham was a Executive Director at a VC in the Midlands for 11 years and has experience of all aspects of the VC industry including raising funds from investors, setting up funds, investing, portfolio management, divesting and investor liaison. "100% of attendees would recommend this course to a colleague"